« Dancing trees and perfect evenings..
Did you hear the one about the “Kerry” man? “Did you hear the one about the ‘Kerry’ man?” was the joke that we heard often years ago. We don’t hear that joke being told too much these days and maybe, that’s because “Kerry” has become worthy of respect for so many reasons including prowess on the sporting field, the most beautiful of places, links golf courses, fantastic hospitality, success in business with huge companies such as Kerry Group and FEXCO and even politicians that should never be underestimated! 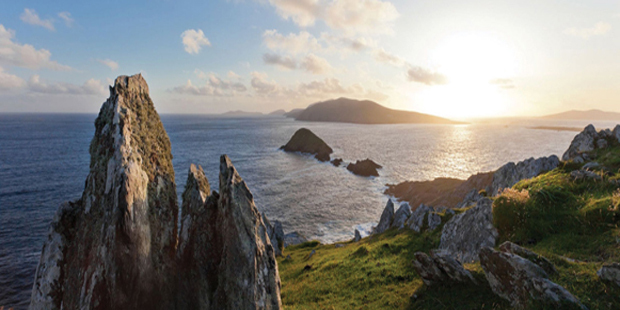 There is something very special about Kerry and this is recognised in Ireland and internationally. There is something so special about ‘Kerry’ that a huge legal dispute has been rumbling for the last few years between the food giants, Kerry Group and Ornua. 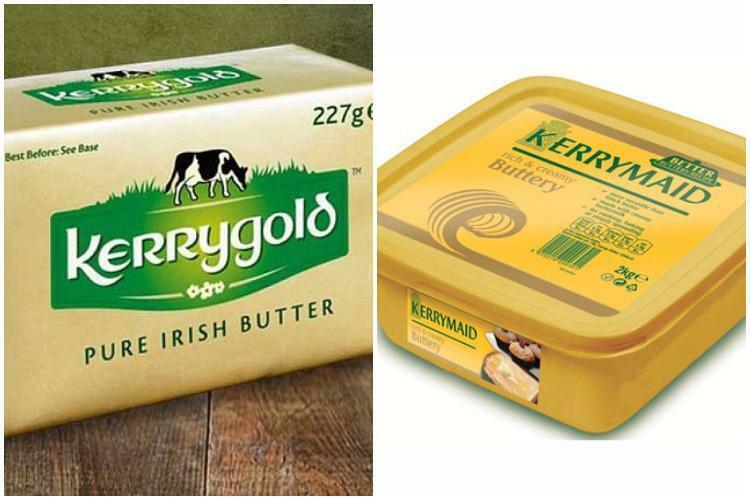 Kerry Group introduced their Kerrymaid butter product into the Spanish market a few years back and Ornua, the makers of Kerrygold have legally challenged their right to do so. I read the legal jargon about the case and there are many subtleties to each of these points but this was the gist of it (please read the case in detail if this is an important issue for you). In a way this opens up a huge can of worms for both of these brands as it implies that if you are in Kerry and you produce a product then you can use the word ‘Kerry’ as part of the name. Kerry is obviously a fantastic brand right now with many positive attributes – there are no right or wrong answers here as the brand attributes are what each of us believes them to be. When I think of Kerry I think of positive things such as nature, beauty, the coast, agriculture, hospitality, quality, sport, literature, music, business success, resilience but I also do think of negative things such as poor roads, too many American tourists, cute politicians and a few rough towns. This is my version of ‘Kerry’ but for others it will be quite different and we all carry things in our heads that make up what the brand is for us. If Kerry suffered from a major incident such as a gigantic oil spill that contaminated the whole coastline then maybe the use of the name on products may not be as positive as it is today – while this is hard to imagine, having your brand attached to name that is largely out of your control could be risky. Kerry – is it good for the butter? While Kerrygold is a very successful brand, is it because it carries the name ‘Kerry’ or is it because it is a great product with great packaging and marketed really well? – I’m sure all of these elements contribute to the success. In the case of the ‘butter wars’ I suspect that one part of the argument is about the ability to use the word ‘Kerry’ as it borrows all of the positive attributes of the place but for others who may not be as familiar with the place, a different argument could be that they are borrowing the positive attributes of the other product. Would the Spanish know enough about the Kerry region to now the attributes of the location? In this particular case one could make a strong case against any company being able to use the name of a place in their brand and not actually producing it in that location – is this an even more serious issue for another day? When we incorporate the name of a place in our brand or company name, we do automatically benefit from the positive attributes but, most importantly, if we are to use that place name, we also have a responsibility to uphold that name and not damage it in any way. Did you hear the one about the Kerryman who thought he could sell his butter in Spain – he was right! If you need to chat about your brand, give us a call! This entry was posted on July 24, 2017 at 9:23 pm and is filed under Brand Loyalty, Branding, Destination Branding, Ireland, Marketing, Reputation. You can follow any responses to this entry through the RSS 2.0 feed. You can leave a response, or trackback from your own site.